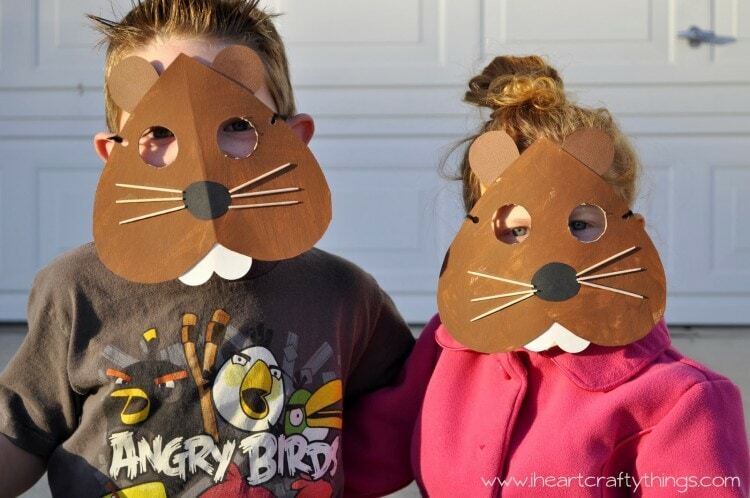 With Groundhog Day coming up in a couple days, we couldn’t pass up the chance to get our craft on for the holiday! 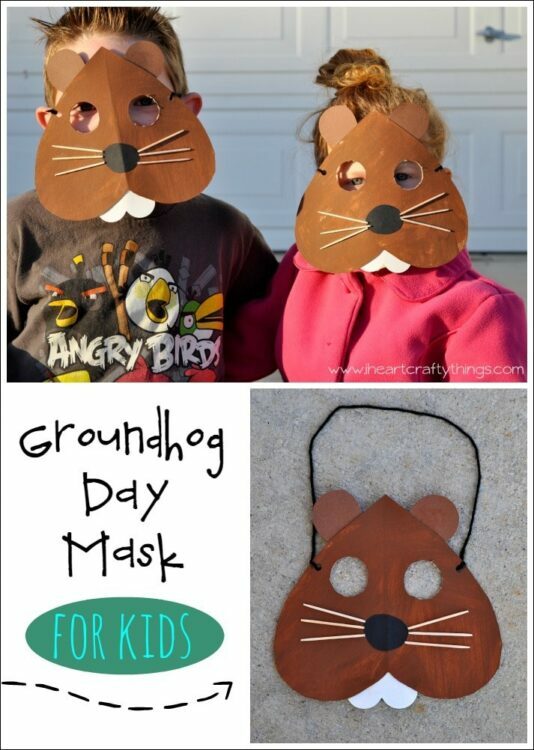 Your kids are sure to have fun with this adorable Groundhog Mask. We’ve been reading “Groundhog Day!” by Gail Gibbons. It’s more of an information book about the holiday but in a style understandable by preschool and young elementary age children. 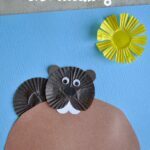 Last year our Paper Plate Groundhog Craft turned out looking like a beaver. Haha! 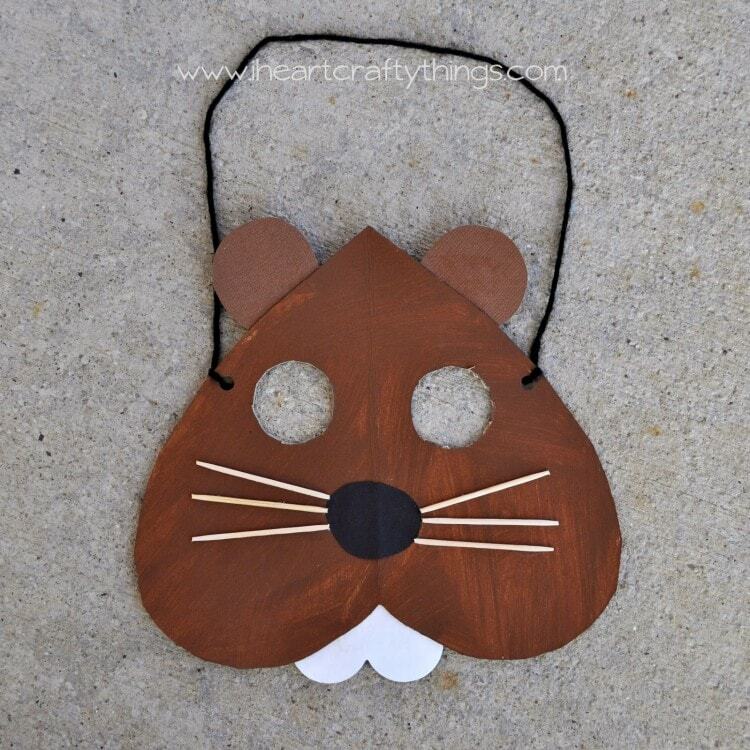 So we went with a heart shaped face like we saw on Pinterest to try to make it look more Groundhog-like. 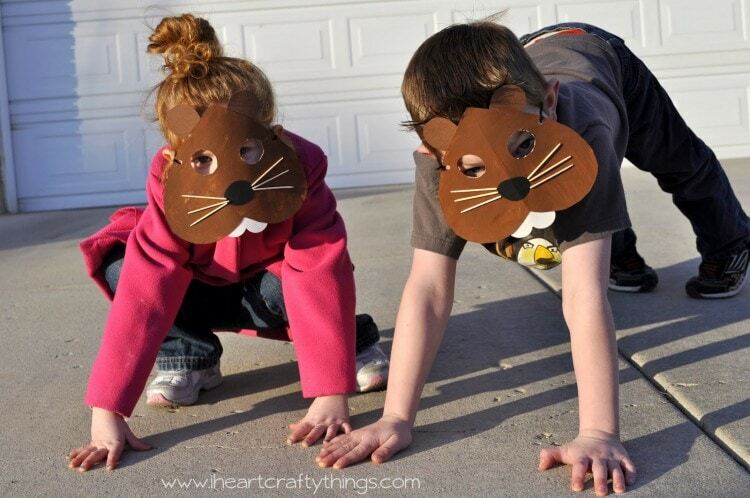 Since my kids love to dress up in costumes I decided the perfect way to celebrate Groundhog Day was for my children to be able to wear a Groundhog Mask and go out in the morning and pretend they were Punxsutawney Phil and see if they could see their shadow. 1. Start by cutting out a heart shape from your empty cereal box. 2. Paint the heart shape brown and let it dry completely. 3. (This step must be completed by an adult) Cut the eye holes out of the mask with a craft knife. The holes were about a 1 1/4″ diameter circle. I actually used the base of a Children’s Motrin Medicine cup to trace the circles. The center of my eye circles are 2 1/2″ apart also. I hope that is helpful. 4. Punch a 2″ heart with your heart punch out of your white cardstock paper. Also cut ears out of your brown paper and a black nose out of your black paper. Glue them onto your Groundhog. 6. 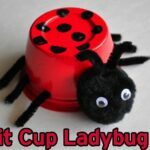 Punch holes on the sides of the eyes and use string or yarn to measure your child’s head. Then used it to secure the mask in place with knots. I have to mention that I originally wanted to glue a Jumbo Craft Stick to the back of the mask and have them just hold it up to their face. If you are doing this for a class, that is a route you might want to go! But since we’ve made masks before, my kids were insistent on having it sit over their eyes with the string. 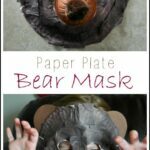 Do your kids like to pretend play? 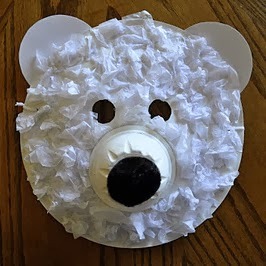 Here is another fun Polar Bear Mask you might enjoy! Oh, these are so cute!! 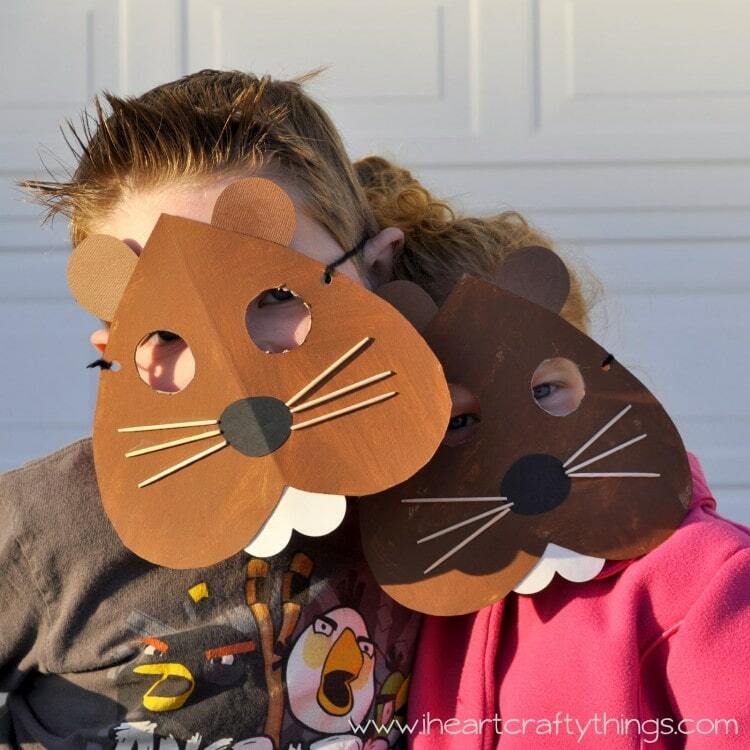 I would love for you to share them at Sharing Saturday (this week's ends tonight, but I know I want to feature some groundhog crafts). @Carrie Thank you for sharing at Sharing Saturday! I will be featuring it!